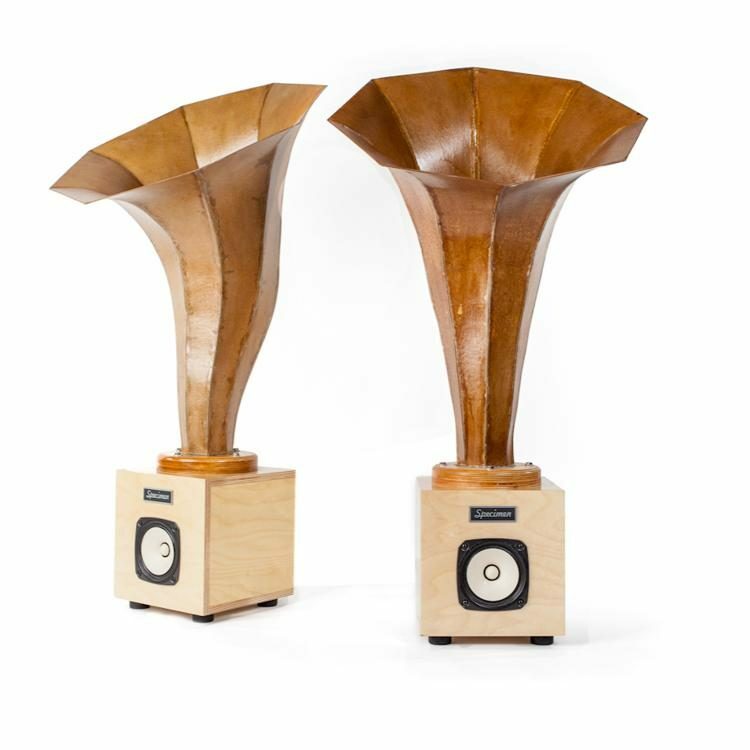 Liederhorns can be paired with any of my hi fi tube amplifiers for a beautiful sonic symbiosis or with virtually any other system and achieve excellent results. 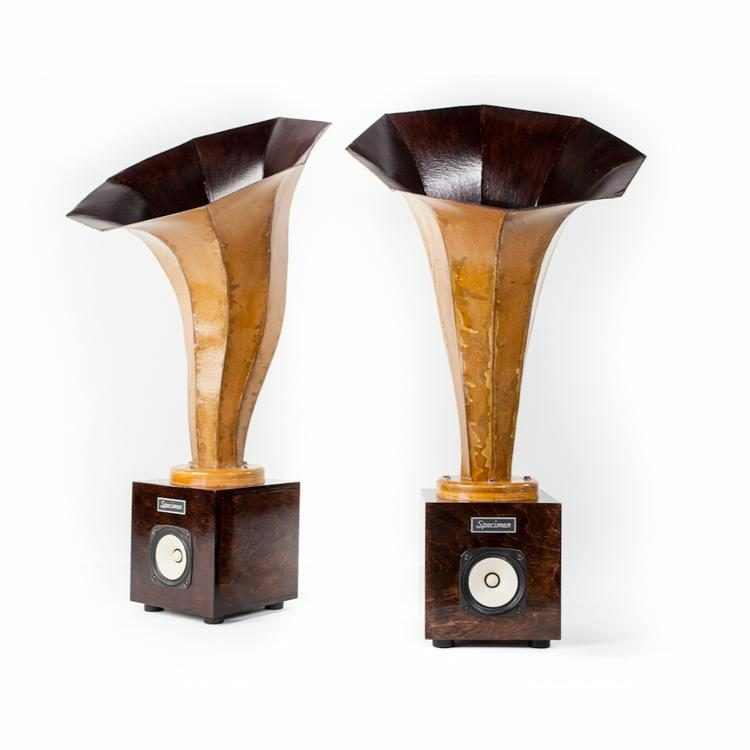 These speakers are designed to work well on the ground or elevated as with a typical speaker. 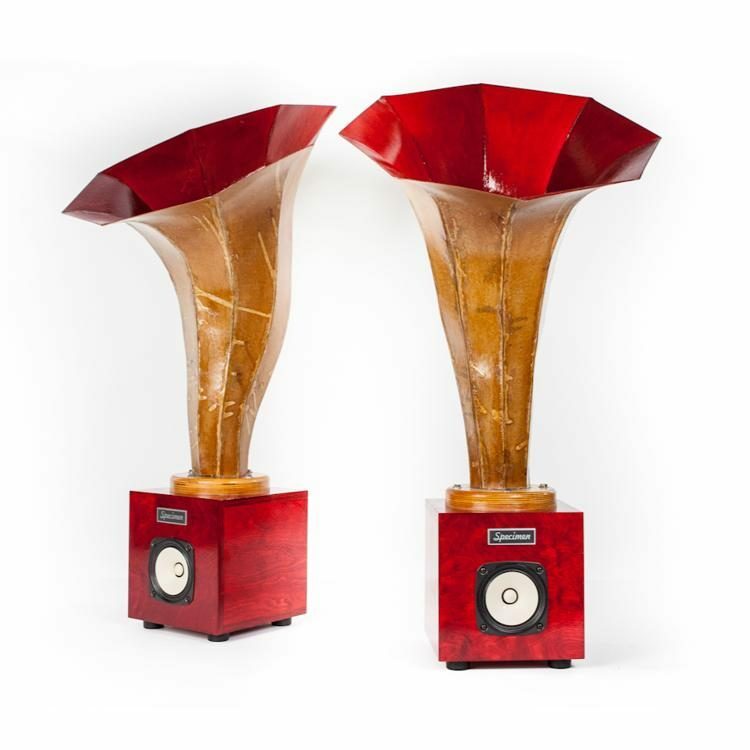 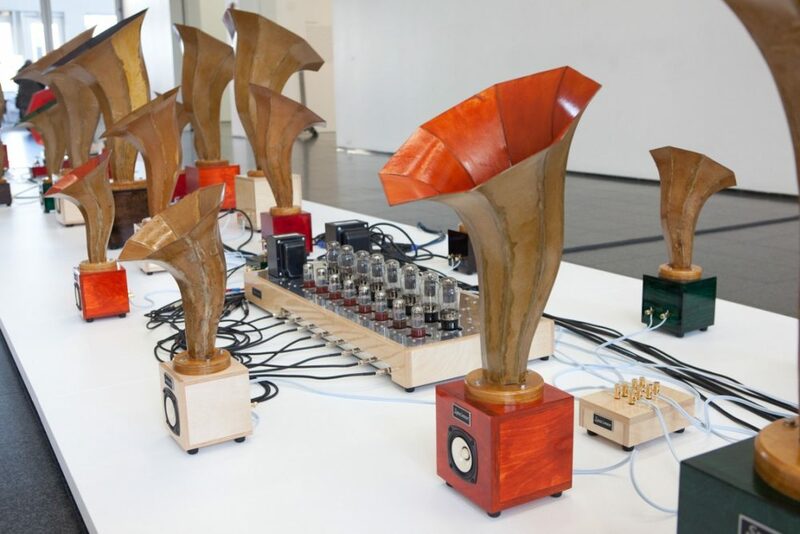 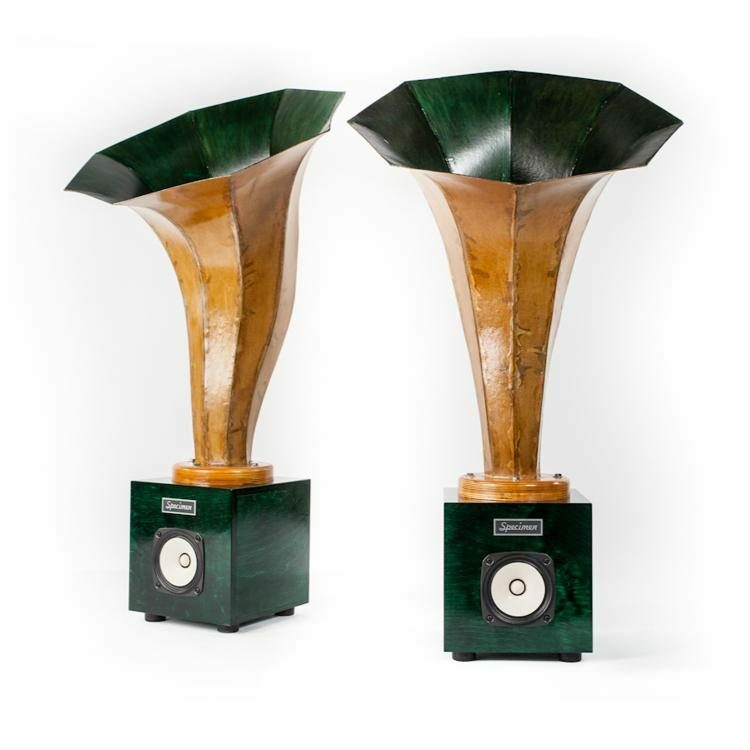 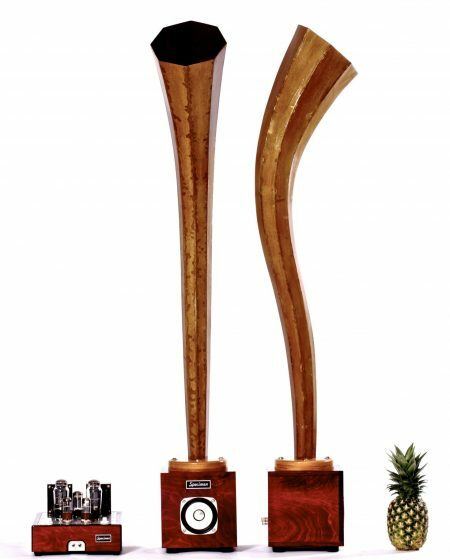 The Liederhorn was originally designed for the Sonic Arboretum, a collaborative project between Specimen’s Ian Schneller and composer/violinist Andrew Bird which exhibited at the Museum of Contemporary Art Chicago in December 2011. 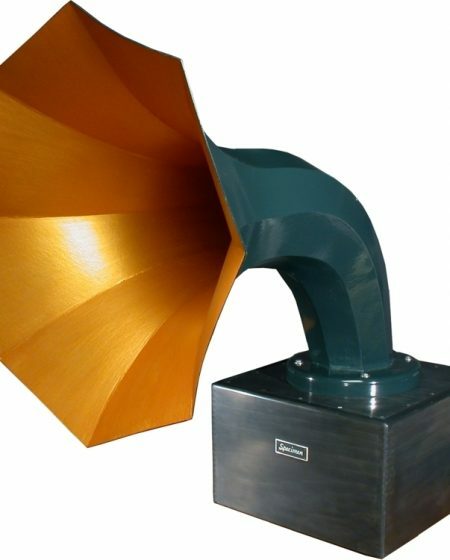 Liederhorns are available either as pairs or in other quantities. 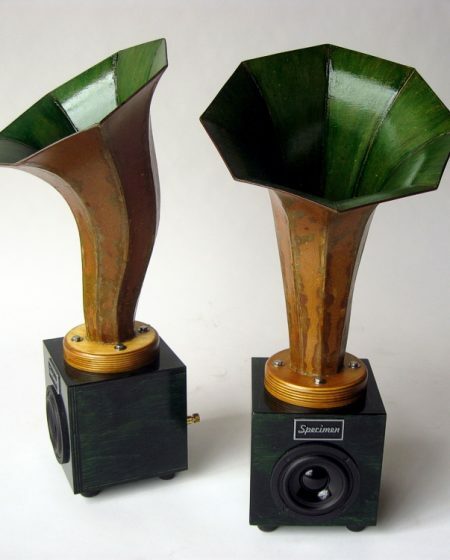 A single pair makes a splendid stereo system. 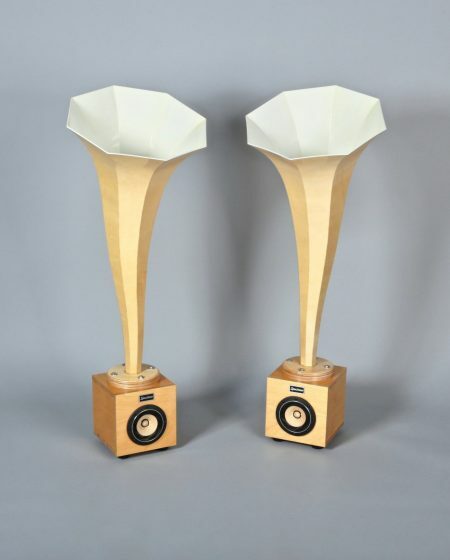 Two arrays of sixteen can be used to create a most exceptional stereo system. 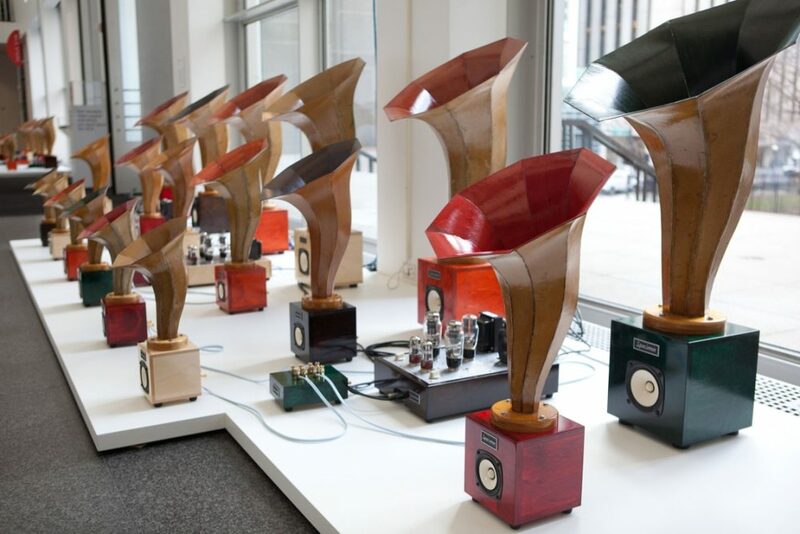 If an array of sixteen is ordered, a custom junction box is provided so that they can be powered from a single sound source.